Our Linville Falls cabin rentals are so serene, people travel from all over the country to stay with us. The outstanding craftsmanship and design present in the aesthetics of our cabins alone are worth seeing. However, the location and attractions nearby truly seal the deal. Looking for a getaway that you won’t want to get away from? 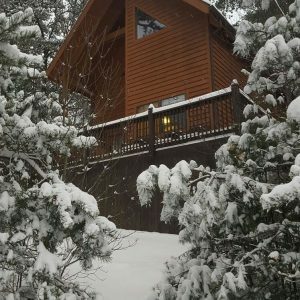 Let us at Blue Ridge Parkway Cabin Rentals put you in one of our beautiful Linville Falls cabin rentals. One of North Carolina’s greatest attributes is the variety of landscapes. To the west, the mountains and beautiful scenery they encompass ramble across the length of our great state. Heading east you’ll travel through the lush and lively foothills to the coast. There you’ll find our varied and beautiful beaches. We’re essentially the California of the East Coast. 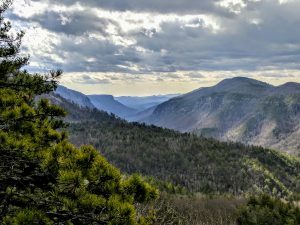 We’ve got every sort of landscape you could want, and that includes our own version of the “Grand Canyon” at Linville Falls. Linville Falls is not only a beautiful waterfall that deserves to be seen, it’s an experience any nature lover should be sure to have. There are two trails at the falls, and swimming to be had for every member of the family young and old. Enjoy a diverse ecosystem and resist the urge to become a part of it and stay there forever! You can quickly travel to the “Grand Canyon” of N.C. from your Linville Falls cabin rentals. When you arrive back home after a long day of exploring, you can relax in a private hot tub and gaze out at the tumbling hills while the sun sets low over the mountains. At our cabins you’ll find everything you need to enjoy yourself in between adventures. We’re lucky to have such an amazing location, and you’ll enjoy every minute of it while you’re here. Call us at (919) 602-6722 to speak directly to someone at Blue Ridge Parkway Cabin Rentals and plan your next amazing vacation. You can book online if you wish but be sure to also check our specials to get the best deal. Come stay with us and experience one of the most beautiful states in the country in the most peaceful way possible!